 The CHTN charges a processing fee for each sample to offset the costs of collecting, handling and preparing the specimens in accordance with the detailed requirements of the investigator. A sample is defined as one processed piece of a specimen, regardless of the sample size or type of processing. Investigators are responsible for all shipping costs. This charge will vary according to the weight and priority status of the shipment. Several of the CHTN divisions offer additional specialized services. If interested, an investigator should contact their primary division for more information on these services. Investigators may request chart reviews for a minimal fee. However, the following services can also be provided to investigators upon request. * Investigators outside of North America may be asked to prepay before samples are shipped. Primary divisions should be contacted if an investigator requests any specialized service. Specialized services can be provided for a minimum fee of $25 or $25/hour.